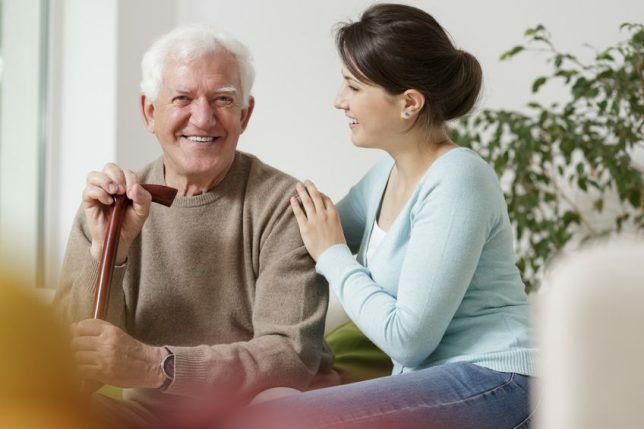 Whether your retirement years are just around the corner or far in the future — or if you expect older family members to join your household someday — the home remodeling plans you make now should include accommodations for aging in place. If your plans involve extensive changes, think about consulting with general contractors and home remodeling contractors who specialize in aging-in-place and universal design methods. With millions of baby boomers reaching retirement age, aging-in-place is an increasingly popular concept. Changes to your home can make living spaces more accessible and easier to live in. Of course, it’s not all about basic comfort — it’s also about safety and convenience. The bathroom is one of the most important areas to focus on, since slippery surfaces and water can make it a dangerous place for people who may have strength or balance issues. It’s also the one spot that must be easy to get to — if your plans allow, include a full bathroom on the first floor of your home. While adding a bathroom can seem costly, it’s less expensive in many cases than having to add a lift or home elevator down the line. There are also a lot of simple changes you can make throughout your home. In all rooms and hallways, install good lighting. With age, brighter lights improve vision clarity, so plan to increase wattage in light fixtures. On doors, use lever-type handles that can be operated with just an elbow. If your plans allow, widen doorways to accommodate a walker or wheelchair. Preparing for aging-in-place means you can stay in your home regardless of circumstances as you or your family members age. To make your planning and remodeling easier, an aging-in-place or universal design contractor can help. We’ve made finding a contractor in your local area simple — just enter your ZIP code above and you’ll be contacted by a contractor who has been thoroughly vetted for qualifications, licensing and insurance, and whose workmanship is warranted for three full years. Get your no-obligation estimate today.